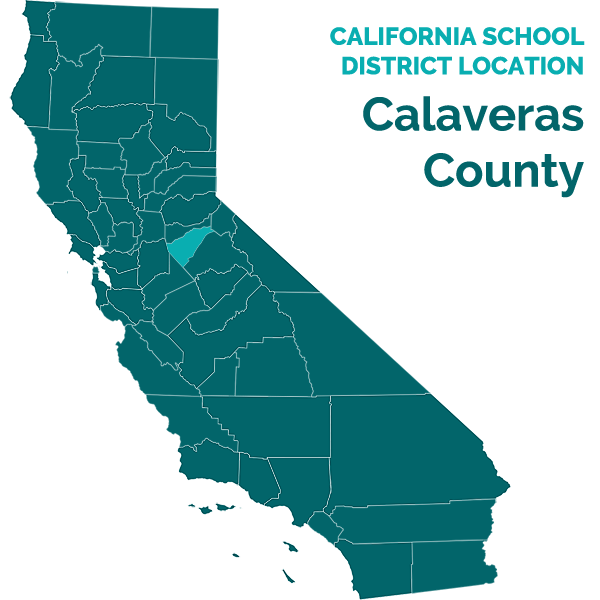 CALAVERAS UNIFIED SCHOOL DISTRICT AND CALAVERAS COUNTY SPECIAL EDUCATION LOCAL PLAN AREA. Administrative Law Judge (ALJ) Adeniyi A. Ayoade, from the Office of Administrative Hearings (OAH), State of California, heard this matter on August 13 through 16, 21 and 22, 2012, in San Andreas, California. Robert K. Closson, Doctor of Education and Student’s advocate (Advocate), appeared on behalf of Student. Student and his Parents were present during parts of the proceedings.1 Attorney Eliza J. McArthur represented both the Calaveras Unified School District (District) and the Calaveras County Special Education Local Plan Area (SELPA). Jan Kendal, director of special education for the District, and Robin Seaway, assistant superintendent for District and SELPA director, were present throughout the hearing as District and SELPA representatives, respectively. 1 Student and Parents were present during most of the first two days of hearing. On the third day of hearing, only Parents were present during parts of the day. Neither Student nor Parents were present for the remainder of the hearing. On the third day of hearing, Student’s father was excused as a witness due to health concern and he was not brought back to testify as both parties indicated that they did not require his further testimony. 2 To maintain a clear record, the closing briefs were marked as exhibits. Student’s brief was marked as Student’s Exhibit 19, and District’s and SELPA’s joint brief was marked as District’s Exhibit 44. 3Issues Two through Four are those issues raised in Student’s complaint. The ALJ added Issue number One to determine whether any of Student’s claims are barred by the twoyear statute of limitations, as alleged in District’s and SELPA’s motion to dismiss, dated June 25, 2012. All of the issues were discussed at the August 1, 2012 prehearing conference, and all parties agreed that the above listed issues are the only issues to be considered and decided in this due process hearing. As necessary, the issues have been clarified and reframed for clarity, as set forth herein above. On June 14, 2012, Student filed a request for a due process hearing (complaint) with OAH. On August 1, 2012, the parties requested and received a continuance of the hearing dates. Oral and documentary evidence were received at the hearing. At the close of the hearing, the parties requested and were granted a continuance to file written closing briefs. 1. Whether Student’s claims, which allegedly occurred prior to June 14, 2010, are barred by the two-year statute of limitations? consider Student’s diagnosis of ADD when developing his individualized educational program (IEP) after Student shared his ADD diagnosis with District and SELPA? failing to provide him special education services after he received a high school diploma? address all areas of needs through an intensive and effective basic skills instruction, explicit survival skills, 4 graduation and post-secondary transition requirements? 4 It is unclear what Student meant by “explicit survival skills”. No evidence was offered to show that Student has any need in the area of survival skills. 5 From hereinafter, “District” and “SELPA” are used interchangeably, and one includes the other unless otherwise differentiated. Student contends that the District and SELPA 5 denied him a FAPE because District and SELPA failed to assess his learning disabilities, failed to consider his ADD diagnosis when developing his IEP’s, and thus failed to address his education needs related to his ADD. Further, Student contends that District failed to offer him an appropriate ITP, or include appropriate measurable post-secondary school goals in his IEP. Also, Student alleges that an appropriate transition assessment was not conducted, appropriate transition plan not developed, and transition services needed by him were not identified in his IEP/ITP. Finally, Student contends that District failed to advise or provide him with required written information about his special education rights, failed to provide him with prior written notice of District’s intent to graduate him without him completing all of the graduation requirements, and failed to provide him special education services after he received his high school diploma. District contends that, since at least the date of Student’s November 23, 2009 annual IEP team meeting, Student and his Parents have been given necessary and required written notice of procedural rights and safeguards and explanations of rights pursuant to established District’s procedures. Both argued that Student (after reaching the age of 18), his Parents and their advocate, Dr. Closson, fully participated in the development of Student IEP’s and ITP’s, and that all, including District’s and SELPA members of Student’s IEP team were aware, and in agreement that Student would receive his high school diploma without having to pass the California High School Exit Exam (CAHSEE). Thus, District maintains that they met all of Student’s unique needs and provided him with a FAPE through his various IEP’s, and that they appropriately assessed his educational and transition needs, developed appropriate IEP’s and transition plan, and offered transition goals and services appropriate to address Student’s unique needs. Whether Student’s claims which allegedly occurred prior to June 14, 2010 are barred by the two-year statute of limitations? 6 Alexopulos v. San Francisco Unified Sch. District (9th Cir. 1987) 817 F.2d 551, 555-556. 7 20 U.S.C. §§ 1415(b)(6)(B), 1415(f)(3)(C); 34 C.F.R. §§ 300.507(a)(2), 300.511(e) (2006); Ed. Code, § 56505, subds. (l) and (n). All references to the federal regulations are to the 2006 promulgation of those regulations. 8 Ed. Code, § 56505, subd. (l); 20 U.S.C. §1415(f)(3)(C). See also, Draper v. Atlanta Ind. Sch. System (11th Cir. 2008) 518 F.3d 1275, 1288. 9 M.D. v. Southington Board of Educ. (2d Cir. 2003) 334 F.3d 217, 221; M.M. & E.M. v. Lafayette School Dist. (N.D.Cal., Feb. 7, 2012 Nos. CV 09–4624, 10–04223 SI) 2012 WL 398773, ** 17 -19. 11 20 U.S.C. § 1415(f)(3)(D); Ed. Code, § 56505(l). 12 Ed. Code, § 56500.1, subd. (b). 13 On July 11, 2012, OAH denied District and SELPA’s motion to dismiss because a determination of whether any applicable exceptions apply to toll the statute of limitation required evidentiary hearing and findings. 14 Student’s birthdate is September 19, 1992. After Student turned 18, (age of majority), he gave permission to District and SELPA to continue to invite his parents, and thus have them continue to participate in the development of his IEP’s, but he retained his educational rights. 15 As used in this decision, “Parent” (or parents) also refers to Student after reaching the age of 18. Congress intended children with special needs to obtain timely and appropriate education and did not intend to encourage the filing of claims under the Individual with Disabilities Educational Act (IDEA) years after the alleged wrongdoing occurred. 6 An extended delay in filing for relief under the IDEA would frustrate the federal policy of quick resolution of such claims. A denial of a FAPE results in substantial harm to a student, which must be remedied quickly. Consistent with federal law, due process complaints filed after October 9, 2006, are subject to a two-year statute of limitations in California. 7 In general, the law provides that any request for a due process hearing shall be filed within two years from the date the party initiating the request knew or had reason to know of the facts underlying the basis for the request. 8 In effect, this is usually calculated as two years prior to the date of filing the request for due process. Both federal and California State law establish exceptions to the statute of limitations. These exceptions exist when a parent was prevented from filing a request for due process due to: (1) specific misrepresentations by the local educational agency that it had resolved the problem forming the basis of the complaint; or (2) the local educational agency’s act of withholding information from the parent that it was required to provide. 11 If a party files too late, and an exception does not apply, any claim outside the two-year period cannot be heard and decided at a due process hearing. On June 25, 2012, District filed a motion to dismiss all of Student claims that are based on allegations that allegedly occurred prior to June 14, 2010, and outside the two-year statute of limitations as Student complaint was filed on June 14, 2012. District’s affirmative defense applies to all of Student’s Issues, particularly Issues Two through Four, to any allegation based on a violation(s) that occurred or allegedly occurred prior to June 14, 2010. 13 Based on the uncontroverted testimony of Ms. Quinn, the 2009-2010 SY ended on or about June 8, 2010. Further, the evidence showed that Student was not receiving extended school year services during the 2009-2010 or 2010-2011 SY. Through his complaint, Student initially alleges that the District failed to provide him with required notice of his procedural rights prior to or during his various IEP team meetings. 14 At the hearing, however, Student argued that even if the procedural rights were provided to him and his Parents, it is unclear whether he or his Parents understood those rights. Both contentions are not supported by the evidence. Timothy Reno, the assistant principal of Calaveras High School, where Student attended and graduated, testified. He participated in Student’s IEP team meetings, and confirmed that the Procedural Rights and Safeguards presented by District at hearing was in fact utilized by District at the time of Student’s IEP meetings and usually distributed at IEP team meetings. He attended Student’s December 13, 2010 IEP team meeting, was the Chairperson at this meeting, and took the IEP team meeting note. Mr. Reno also attended Student’s April 5, 2011 IEP team meeting, and took the IEP team meeting notes at that meeting as well. While Student and his mother attended the IEP team meeting, Student signed the April 5, 2011 IEP document as he was 18 years of age. Student indicated in the IEP document that he received his Procedural Rights and Safeguards and that he understood the rights. Mr. Reno was persuasive in his testimony that a copy of the Procedural Rights and Safeguards was provided to Student and his Parents at the December 13, 2010 and April 5, 2011 IEP team meetings. The seven-page Procedural Rights and Safeguards provided to Student and his Parents explained various special education rights and procedural safeguards, including District’s obligation to provide the Procedural Rights and Safeguards when required. Further, the Procedural Rights and Safeguards explained Student’s rights to a FAPE under the IDEA, rights to parental participation in IEP team meetings, when and how to get help and parental concerns, prior written notices, requirements/options for parental consent (or withholding of consent) to assessments and services, revocation of consent, assessments and independent educational assessments’ requirements, access to educational records, rights to due process hearing, mediation and alternative dispute resolution, and due process hearing and appeals process and procedures among others. 16 Ms. Quinn received her bachelor degree in adolescent psychology and social studies from the San Jose State University in 1983, and her master’s degree in learning handicaps in 1986. She received her State teaching credentials in Social Studies (1984), and Learning Handicaps (1985). Ms. Quinn has been a teacher since 1984, and had taught special needs students since about the same year, including those with ADD, and has worked at District since 1987. At District, she has worked as a Resource Specialist, teaching learning handicapped students similar to Student, and a general education teacher teaching Social Studies. She has experience administering educational evaluations and has participated in several 100s IEP team meetings over her close to 30 years serving special needs students. She is familiar with Student and his special education unique needs, including those relating to his ADD. Further, on the issue of whether Student or his Parents were provided with the Procedural Rights and Safeguards, Sheila Quinn, 16 District’s resource specialist and special education teacher, testified. Ms. Quinn was persuasive, and she established that Student and his Parents received the required notice of Student’s Procedural Rights and Safeguards. Ms. Quinn was Student’s case manager during the 2010-2011 SY and attended all of Student’s IEP team meetings during his senior year, including those of August 11, 2010, December 23, 2010 and April 5, 2011. Ms. Quinn was in charge of obtaining the participants’ signatures on the IEP document at the April 5, 2011 IEP team meeting. During the IEP team meetings prior to Student’s turning 18, she remembered Student’s Parents signing the IEP document. On the IEP documents, Parents indicated that they had received the Procedural Rights and Safeguards, and that they understood those rights. Ms. Quinn credibly explained that it is District’s practice to provide Parents with the Rights and Safeguards at the beginning of each IEP team meeting, and then discuss the Rights and Safeguards during each meeting. A District’s staff, or such assigned administrative designee, would discuss and explain the rights. The evidence established that these practice were followed at the IEP team meetings Ms. Quinn attended. Lisa McInturf, the assistance principal during Student’s sophomore year (2009-2010 SY) attended the November 23, 2009 IEP team meeting, and was the meeting chairperson. As the chairperson of the IEP team meetings, she explained the Procedural Rights and Safeguards to Student and his Parents. As Student was 17 years of age at the time, Ms. McInturf also explained Student’s rights upon reaching the age of majority to Student’s Parents. In addition to the Procedural Rights and Safeguards, District provided Student’s Parents a document titled: “Education and the Age of majority” – a two page document. Essentially, the document explained that Student’s special education legal rights transfers to Student at age 18, and discussed Student’s rights to participate in the IEP process on his own behalf, among others. Ms. Quinn does not remember Parents or Student stating anything about not understanding their rights. In any case, Dr. Closson, Student’s advocate, participated in the August 11, 2010 IEP team meeting. Dr. Closson participated in Student’s IEP as Student’s special education advisor, and assisted Student and his Parents, helping them to understand their special education rights, processes, and laws including Student’s Procedural Rights and Safeguards. Thus, District demonstrated that based on its established procedures, it distributed copies of the written Procedural Rights and Safeguards to parents usually at the beginning of each meeting. The evidence showed that District followed its procedures and provided copies of Student’s Procedural Rights and Safeguards to Student and his Parents during at least five IEP team meetings, beginning on November 23, 2009. The District provided Parents with a copy of the procedural rights/procedural safeguards at the IEP team meetings on November 23, 2009, May 7, 2010, August 11, 2010, December 13, 2010, and April 5, 2011. Even though Student testified that he never received the notice, his father and mother, as well as all of District’s staff, established that the procedural rights were in fact provided to Student and his Parents. Student’s mother identified the written Procedural Rights and Safeguards included in District exhibit binder, and admitted that District provided a copy of the document to Student and his Parents at least at an IEP team meeting. She could not remember the date of the meeting(s). Further, the IEP notes documented, and District’s witnesses established, that Student’s rights were discussed and explained to him and his Parents. Each of the IEP’s contained a statement, which Student and his Parents checked and initialed, indicating that Parents were “given,” and “understand” their procedural rights. Student and Parents consented to each of these IEP’s. Dr. Closson, Student’s advocate, attended and participated in Student’s May 7, 2010, August 11, 2010, and April 5, 2011 IEP team meetings. Dr. Closson had represented Student’s Parents, and Student after he turned 18, since at least February 2010. Therefore, Student’s contention that he did not receive his Procedural Rights and Safeguards, or that he might not have understood those rights is found untenable and unpersuasive. Accordingly, Student’s claims that occurred before June 14, 2010, are barred by the two-year statute of limitations, and not considered in this decision. 17 Even though he had not received District/SELPA closing brief, and the request for sanction, Dr. Closson had expected that such would be filed, and as such included his defense/response in Student’s closing brief. District and SELPA jointly filed their closing brief on September 10, 2012, which requested sanctions against Student in this matter. In their request, they asserted that Student’s case was brought in bad faith. They contend that Student’s advocate engaged in actions or tactics that are without merit, frivolous, or solely intended to cause unnecessary delay. They pointed to Dr. Closson’s cursory attempt to support Student’s contentions at the hearing, and the “complete lack of evidence to support any of Student’s allegations.” In Student’s closing brief, Dr. Closson responded to District’s allegation that he engaged in bad faith tactics. 17 He denied the allegations he engaged in bad faith tactics or that Student’s case is frivolous. He explained that he brought Student’s case because he truly believes that a wrong was done to Student by District and SELPA. While District’s contention has some merit, this is not the proper arena to make their request for attorneys’ fees. Pursuant to the IDEA, District and SELPA may make their request in federal or state court. (Title 20 U.S.C. § 1415(i)(3)(B)(II) and (III); see C.W. v. Capistrano Unified School Dist. (C.D.Cal., Aug. 3, 2012 No. SACV 11–1157 DOC(RNBx)) 2012 WL 3217696, * 7.) Accordingly, District’s and SELPA’s motion for sanctions is denied. 18 Student’s parents were divorced and Student currently lives with his father and step-mother. 2. Student was first found eligible for special education services in October 2001 and remained eligible under the category of specific learning disability (SLD) and other health impaired (OHI) until his graduation. Student attended CHS from the 2007-2008 SY through the 2010-2011 SY. 3. Student has a processing disorder that qualified him for special education services under the criteria of SLD. He also has ADD and, as a result, was qualified under a secondary eligibility category of OHI. Due to his learning disability and ADD, Student has struggled with organization, remembering things, maintaining attention/focus, and is often distractible. Academically, he struggled especially with math and language art including written expression. 4. During his four years at CHS, Student received special education services and supports. Specifically, he received academic support in the form of setting modification and specialized academic instruction. Student also received accommodations and other modifications, which included extra time for tests, help with class notes, help with organization, weekly progress checks, modified assignments, positive verbal feedbacks, and the provision of oral and visual directions to Student during testing, among others. He was allowed the use of a calculator. While at CHS, Student was taking medication for his ADD. 5. Due to the failure of the Student to establish an exception to the applicability of the statute of limitations in this matter, only those IEP’s and ITP’s developed and/or implemented during the two-year statutory period are considered in this decision in evaluating the issues that Student has raised as pending resolution. These operative IEPs and/or ITPs are those of May 7, 2010, the August 11, 2010, the triennial IEP of December 13, 2010, and Student’s last IEP of April 5, 2011. 6. A school district must assess or reassesses the educational needs of special education pupils. Reassessment of special education students shall occur at least once every three years, and not more frequently than once a year, if circumstances warrant. A school district must conduct a reassessment if the district determines that the educational or related service needs, including improved academic achievement and functional performance, of the child warrant a reevaluation. 7. Student alleges that District failed to conduct an appropriate transition assessment of his needs. As discussed below, Student fails to meet his burden, as the evidence fails to support this contention. 8. At the May 7, 2010 IEP team meeting, members of Student’s IEP team, including Parents, Dr. Closson, District and SELPA staff, agreed Student should be referred to the Central California Diagnostic Center, Fresno (Diagnostic Center) for a full battery of assessments, and as way of addressing “all concerns.” The evidence established that District followed and implemented the agreement, and referred Student to the Diagnostic Center. On June 4, 2010, the Diagnostic Center contacted both Parents and SELPA to advise that Student’s referral package was received and that Student’s assessment would be scheduled based on his priority on the list and availability of assessor, among others factors. 19 Further, no issue has been raised in this matter regarding the appropriateness of the Diagnostic Center assessment, or its timeliness. 10. To the contrary, District’s witnesses testified that Student’s IEP team accepted the recommendations contained in the Diagnostic Center assessment report, which are similar to those recommendations contained in District/SELPA psychoeducational assessment report, and that those recommendations were implemented. Additionally, Student father stated that the Diagnostic Center assessment was both comprehensive and appropriate. 11. The assessment was comprehensive in that it evaluated all of Parents’ concerns about Student. The assessment evaluated Student’s academic and learning needs, the impact of his ADD, his cognitive functioning, social and adaptive behavior, vocational and transition needs, and the effects of his learning disability and ADD on his education, among others. Finally, the assessment report made relevant recommendations regarding Student’s need and required interventions. 20 Ms. Karn is a licensed Marriage and Family Therapist, who worked for the SELPA/Calaveras County Office of Education (CCOE) at the time of her assessments in 2010. Ms. Karn worked for SELPA between 2007 and September 2011 as a School Psychologist. She received her bachelor’s degree in psychology in 1997, and her master’s degree in counseling and educational Psychology in 2002. She holds a School Counseling and School Psychology Credential. She has done all the coursework, and will be receiving her doctorate degree in education degree as soon as she submitted her dissertation. 21 The Diagnostic Center assessment showed a Full Scale Intelligent Quotient score of 72 – a lower score than District/SELPA assessment. 12. In addition to the Diagnostic Center assessment, the District conducted its own psychoeducational assessment of Student. Even though the assessment report was dated December 13, 2010 (date of an IEP team meeting), the assessment tools were administered on multiple dates between August 12 and October 18, 2010, by Ms. Valerie Karn. 20 As part of her assessments, she administered tools to evaluate Student’s academic skills, as well as his cognitive functioning. 13. Various assessment tools were administered by various assessors, including Ms. Karn and Ms. Quinn as part of District/SELPA’s psychoeducational assessments. These tools included: the Woodcock Johnson Test of Cognitive Abilities, Third Edition (Woodcock Johnson Test); the Test of Auditory Processing Skills, Third Edition; the Test of Visual Perceptual Skills, Third Edition; the Test of Word Reading Efficiency; the Gray Oral Reading Tests; Comprehensive Test of Phonological Processing; the Behavior Assessment System for Children, Second Edition (BASC-2); the Conners-Wells’ Adolescent Self-Report Scale –Long (CASS-L); the Conners-3 Parent Rating Scale; Conners Teacher Rating Scale – Revised; the Adaptive Behavior Assessment System, Second Edition; and class observations, Student’s interviews and records reviews. 14. Through the administered tools, Ms. Karn investigated Parents’ concerns regarding reading and math, attention and focus through information from Parents and three teachers, and his ADD through the CASS-L and the BASC-2, among other tests. The results showed that Student has some issues regarding phonological awareness and memory, weaknesses in the areas of attention and focus due to his ADD. Through the testing, Student’s General Intelligence Assessment score was 86, 21 which placed Student’s cognitive abilities in the low average range. 15. Ms. Quinn administered the Woodcock Johnson Test, among other tools, to assess Student’s academic skills and learning deficits. Student’s scores in the Woodcock Johnson Test confirmed ongoing issues Student had in reading, math and writing fluency. Ms. Quinn explained that District was able to fully investigate Student’s learning issues and/or disabilities, and his ADD, with the Woodcock Johnson Test she administered, in conjunction with other tests administered by others, including processing, cognitive and psychological testing,. 16. The psychoeducational assessments’ results showed that Student has weaknesses in many domains, including working memory, broad attention, long term retrieval, visual perception and visual memory skills, as well as processing speed. Both Ms. Karn and Ms. Quinn both established that the Diagnostic Center assessment and SELPA/District’s psychoeducational assessment adequately assessed Student’s learning disabilities and other concerns. 17. District/SELPA assessment results indicated that Student’s cognitive abilities would impact his academic functioning and learning, which were consistent with the findings and conclusions of the Diagnostic Center assessment. Both of their recommendations were also similar. The SELPA/District’s psychoeducational assessment adequately and appropriately assessed Student’s learning disabilities. Also, Student conceded that the Diagnostic Center assessment was appropriate. Therefore, the District had accurate information regarding Student’s unique needs when they developed his IEP’s at issue in this decision. 18. Children with disabilities have the right to a FAPE. The term “free appropriate public education” includes special education and related services that: have been provided at public expense and are provided in conformity with the student’s IEP. “Special education” is instruction specially designed to meet the unique needs of a child with a disability. 19. An IEP is an educational package that must target all of a student’s unique educational needs, whether academic or non-academic. The term “unique educational needs” is broadly construed and includes the student’s academic, social, emotional, communicative, physical, and vocational needs. Further, in developing the IEP, the IEP team must consider the strengths of the child, the concerns of the Parents for enhancing the education of their child, the results of the initial assessment or most recent assessment of the child, and the academic, functional and developmental needs of the child. 20. Thus, a school district provides a FAPE to a student if its program or placement is designed to address the student’s unique educational needs and is reasonably calculated to provide meaningful educational benefit in the LRE. An IEP is evaluated in light of information available to the IEP team at the time it was developed, and not judged in hindsight. 22 The California Department of Education, "California High School Exit Examination -CalEdFacts" provides that: "Beginning in the 2009−10 school year, EC Section 60852.3 provides an exemption from meeting the CAHSEE requirement as a condition of receiving a diploma of graduation for eligible students with disabilities who have an individualized education program (IEP) or a Section 504 plan. …”. 21. Since his IEP of May 7, 2010, held at Parents’ request, Student’s IEP’s contained goals in the areas of study skills, consumer math skills, math and written language in order to address Student’s math and written expression challenges. His IEP’s also included goals in the areas of reading, workability (career exploration), and an ITP. Student’s May 7, 2010 IEP followed Student’s annual IEP that was held on November 23, 2009. While the November 23, 2009 IEP provided that Student would work towards a certificate of completion, the May 7, 2010 IEP changed Student’s goal towards the receipt of a high school diploma. The change was due to Parents’ expressed interest in having Student receive a diploma. The team agreed with the change to a diploma track, and further agreed that Student would be allowed to claim the CAHSEE exemption, 22 if unable to pass the graduation requirement of the high school exit exam. Student’s Parents consented to full implementation of both the November 23, 2009 and May 7, 2010 IEP’s. 22. At each of the Student’s IEP’s relevant in this hearing, the IEP team members discussed Student’s ADD and its impact on Student’s education. Notably, several IEP notes recorded discussions by the IEP team members regarding Student’s lack of organization, issues with attention and focus, among others. These relevant IEP’s listed Student’s challenges to include organization, remembering things, maintaining attention/focus, and noted that Student was often distractible, which all related to Student’s ADD. 23. To address and/or remediate the impact of Student’s ADD on his education, District provided Student in his IEPs several accommodations, supports and modification. These included extra time for tests, school-home communication, help with class notes, reminding Student to turn in assignments, and weekly progress checks to help Student with organization. He received modified assignments, was given oral and visual directions when during testing, and the resource teacher would monitor Student’s assignments and grades in support of his task completion and organizational needs, and to monitor his progress, among others. Student was allowed the use of a calculator and received positive verbal feedbacks when he acted appropriately. He would be allowed to retake tests and allowed additional time to make up and/or turn in assignments without being penalized. 24. The records showed that Student’s programs, service, supports accommodation and modifications were discussed by Student’s IEP team, and all agreed to the program, placement, services, modifications and accommodations contained in each IEP. Parents, assisted by Student’s advocate gave full consent to each of the IEPs at issue in this matter. 25. As discussed above, District considered Student’s diagnosis of ADD when developing his IEP’s from May 7, 2010 through his last IEP. The IEP meeting notes included in each IEP showed that Student’s ADD diagnosis was discussed and considered in developing each of Student’s IEPs from his May 7, 2010 IEP through his last IEP, dated April 5, 2011. 26. Further, at the August 11, 2010 IEP team meeting, Dr. Closson presented an agenda item on behalf of Student, and shared information about Student’s ADD to the team for discussion. According to the documentary evidence and the persuasive testimony of Ms. Quinn, Parents and Dr. Closson were able to discuss their concerns about Student’s ADD and the proposed interventions. 27. Therefore, the District had accurate information as to Student’s ADD, considered information from all IEP team members and include appropriate, accommodations, modification and interventions in each relevant IEP that adequately addressed the impact of Student’s ADD. Further, as noted above, Student’s OHI eligibility category was included due to his ADD diagnosis, Student failed to meet his burden to establish that District failed to consider his ADD in developing his IEP’s, or that the services, accommodations, modifications or interventions were not adequate to address the educational deficits related to his ADD. 28. California law requires that Student be informed that his educational rights will transfer to him at age 18, and that notice must be given at least one year before Student reaches the age of 18. 29. On this issue, Student’s advocate presented no evidence. While Student contends that he either did not receive this document, or could not remember whether he did, Student presented no credible evidence to challenge the overwhelming evidence presented by District that established that Student in fact received these rights, and understood them. For example, Student’s father testified that Dr. Closson was initially representing Parents as an advocate for Student, and then, Student directly retained Dr. Closson upon reaching the age of majority. In making the hiring decision, Student informed Father “I am 18, I have rights.” Additionally, District explained to Student and Parents about his educational rights at the age of majority at the November 23, 2009 IEP team meeting. In addition, a document titled “Education and the Age of majority” was provided to Parents and Student at the IEP team meeting. This document provides that Student’s special education rights transfers to Student at the age of 18. Ms. McInturf, District’s administrator at the November 23, 2009 IEP team meeting, explained Student’s special education rights to Student and Parents. 30. Further, at the request of Student’s Parents and advocate, Student’s April 5, 2012 IEP team meeting considered and adopted a section 504 plan for Student’s use after graduation. At the meeting, it was explained to both Student and Parents that Student would be able to the 504 plan accommodations either in college or in post-school employment. Student signed his April 5, 2011 IEP document. 31. Therefore, Parents knew that Student’s educational rights would transfer to Student upon his 18th birthday, as of at least the date of the November 23, 2009 IEP team meeting. Student was 17 years of age at the time. 32. District must provide written notice to the parents of a pupil whenever it proposes to initiate or change, or refuses to initiate or change, the identification, evaluation, or educational placement of the pupil, or the provision of a FAPE to the pupil. Graduation is a change in placement, and the school district is required to convene an IEP team meeting prior to terminating special education services. 33. Student contends that District denied him a FAPE because they failed to provide him with prior written notice of their intent to graduate him prior to his completion of all credits necessary for graduation. Student provided no evidence to establish that District failed to provide notice of the change of Student from certificate of completion track to diploma track, especially when the change was pursuant to Parents’ request and all the members of Student’s IEP team agreed to the change. The IEP notes documented the change, including a discussion of Student’s “diploma plan” during the May 7, 2010 IEP team meeting when the change was made. Parents fully consented to the change and to the full implementation of this IEP. 34. In discussing Student’s diploma plan, the team discussed the graduation requirements and agreed that Student could meet all graduation requirements by June 2011. Whether Student could pass the CAHSEE was discussed by the team. Student would attempt to pass the CAHSEE with accommodations and/or modifications included in his IEP. However, Parents indicated that Student would claim the CAHSEE exemption if unable to pass the CAHSEE. District explained that Student was eligible for exemption from the CAHSEE requirement because of his disability. The exemption is allowed under state law for special need students, as discussed above. Further, Student would continue to receive all agreed-to accommodations in support of his plan to earn a diploma. 35. Student provided no evidence or authority to establish that the notice provided and included in the written IEP document of May 7, 2010 is either inadequate, or that such failed to meet the requirement of the law. Student received adequate notice, and actively involved in the decision to change his high goal from that of receiving a certificate of competition to a high school diploma. 36. Further, each of Student’s IEP documents since May 7, 2010 indicated that he was on the diploma track. Student’s May 7, 2010, August 11, 2010, the December 13, 2010 and April 5, 2011 IEP documents state that Student was receiving “General Education Diploma”. All members of Student’s IEP team, including Dr. Closson, Parents agreed that Student would receive a diploma once he completed all of his high school course and graduation requirements. According to the IEP notes, all members of Student’s IEP team, including Student, Parents, Dr. Closson, as well District’s and SELPA staff, were aware that Student was on track to graduate in June 2011. The team also agreed that the granting of a diploma concludes the student’s participation in special education, and end his special education programs and services. 37. Further, Student and his Parents received at least two letters addressing his scheduled graduation. One of the letter dated May 23, 2011, informed Parents that Student was “scheduled to graduate” from Calaveras High School soon. The letter discussed the graduation ceremony and graduation requirements, and informed Parents how Student could meet all graduation requirements. The evidence showed that Student went to at least one District’s staff to obtain requisite signature clearing him for graduation. 38. In addition, Student’s Parents and Student’s advocate were not only aware of Student’s graduation, but that they actively participated in various preparations towards Student’s graduation. For example, as each graduating student was required to do, Student met with a school administrator who reviewed the graduation requirements with Student. Further, to be cleared for graduation, Student was expected to go to each teacher with a graduation clearance document, which each teacher must sign and thus certify that Student was not owning any assignment, punishment, or fine, which certified that Student had met the teacher’s course requirement and may graduate. Student participated in this exercise and, received such clearance from all of his teachers, including Ms. Quinn after Student took his final exam and received a passing grade in Economics, a class Ms. Quinn taught Student during his senior year. 23 As part of the Police Patrol course, Student patrolled the CHS campus and performed mock police functions alongside his classmates, including crowd control, asking questions and investigating suspicious presences, among other duties. 39. Further, Student failed to show what other credit he should have completed, other than the CAHSEE exemption. Through the record of Student’s grades during both his junior and senior years at CHS the evidence showed that Student passed all of his classes. Student achieved passing scores in all his subjects. During his first and second quarters of his senior year, Student earned the following grades: “C” in Government; “C” in English II; “B-” in Math; “C” in Photography; “C-” in Police Science II Regional Occupational Program (ROP); “A” in Student Patrol ROP; and a Pass in Study Hall (an elective). For the third and fourth quarters, Student earned the following grades: “C-” in Economic; “C” in English II; “B” in Math; “B” in Photography; “C-” in Police Science II ROP; “B” in Student Patrol ROP; 23 and a Pass in Study Hall. Student offered no evidence to show that the grades were incorrect or inaccurate, or that any erroneous grade was included. 40. Student failed to prove that he did not receive all his credits agreed to per his IEP’s prior to graduation. The CAHSEE exemption sought by Student’s Parents was in accordance with state law, and documented in his IEP’s. Student and his Parents were aware that Student was claiming the exemption, if unable to pass the CAHSEE. The IEP’s and meeting notes gave notice to Student and his Parents’ regarding his graduation requirements and Student’s option to claim the CAHSEE exemption. Therefore, Student properly graduated high school with adequate notice about his graduation, which exited him from special education services. 41. As discussed above, the evidence failed to establish that Student was graduated prematurely. In fact, Student presented no evidence on this issue either. Student failed to show that he did not complete and receive all his credit, or that he did not meet all of his graduation requirements, except passing the CAHSEE, prior to his graduation from CHS. Due to his disability, Student was eligible for the CAHSEE exemption, and District granted Student the exemption pursuant to state law, and as determined by Student’s IEP team. No evidence was offered to show that granting Parents’ request that Student be allowed to claim the CAHSEE exemption was either improper or in violation of any law. The evidence showed that Parents requested the exemption in the first place. 42. Further, Student’s programs, service, supports accommodation and modifications, including the CAHSEE exemption were discussed by Student’s IEP team. All the team members, including Parents and Student’s advocate agreed to program, placement, services, modifications and accommodations contained in each IEP. Parents, assisted by Student’s advocate gave full consent to each of the IEPs at issue in this matter. 43. The evidence showed that Student met all graduation requirements and he completed all necessary credits prior to his graduation. Based on the evidence, Student was eligible for the CAHSEE exemption and he need not pass the CAHSEE due to his disability. Therefore, the evidence supports a conclusion that District properly graduated Student at the end of the 2010-2011 SY. 44. A student who graduates from high school with a regular high school diploma is no longer eligible for special education services. While some courts have found that any claim that a FAPE was denied becomes moot upon a valid graduation, some have equally held that there is authority to order compensatory education to an adult if it is necessary to cure a past violation. 45. This appears to be a purely legal issue, and it is treated accordingly. Based on the law, graduation ends the right to special education. Student offered no authority in support of his contention that he is entitled to ongoing special education services after graduating from high school with a high school diploma. Accordingly, Student failed to meet his burden on this issue. 46. Beginning no later than the first IEP to be in effect when student turns 16, or younger if determined appropriate by the student’s IEP team, and updated annually thereafter, student’s IEP must include appropriate measurable post-secondary goals based upon age-appropriate transition assessments related to training, education, employment, and, where appropriate, independent living skills. It must also include transition services (including courses of study) needed to assist the child in reaching those goals. Among other things, the transition plan must include exposure to vocational and community experiences, and, if appropriate, training in independent living skills. 24 While Student’s father testified that he does not believe that the ITP’s were appropriate and did not address his son’s needs, Father’s testimony focused on the implementation of his son’s IEP. However, implementation of the IEP was not raised as an issue pending determination in this matter. 48. Since the 2008-2009 SY when Student was 16 years of age, his IEP’s had included an ITP. While these earlier IEP’s and ITP’s are outside the two-year statute of limitations, they are relevant to show that District timely developed Student’s transition plan. Student’s IEP dated September 18, 2008, November 26, 2008 and May 20, 2009 all included ITPs. These ITP’s are carried over to Student’s operative IEPs within the timeline of this hearing. 49. District developed Student’s ITP based on his expressed interest, as established by the testimonies of several of District’s witnesses and Student’s Parents, and corroborated by documentary evidence. Student’s areas of need and interests were explored through appropriate assessments within a result-oriented process. Student’s academic, functional and career needs were identified and appropriate services and supports offered. 50. Ms. Griggs assessed Student in the 2007-2008 SY, 2008-2009 SY, and 20092010 SY. Beginning in September 2008, she assessed Student utilizing a battery of tests designed to identify Student’s vocational abilities and interests. She conducted other subsequent assessments, which included information from Parents, as well as having Student complete surveys both online and offline. As part of her assessment, Ms. Griggs interviewed District staff, Student’s Parents, and Student regarding his post-secondary school goals and career interests. Student completed career interests’ survey questions, to fully identify his needs, career preferences, strengths and areas of needs for transition. 51. The assessments established that Student was initially interested in the Workability Program and would be completing career interest/exploration surveys to determine employment interests. He was interested in receiving a diploma with an eye on pursuing a trade school or post-secondary school education regarding his interest in becoming an automobile mechanic. The report indicated that Student was provided information regarding local colleges including WyoTech, Columbia College, Delta College, among others, as available options where Student could receive post-secondary school education in his interest in becoming an automobile mechanic and/or a law enforcement personnel. Pros and cons of selecting each college were explained to Student, including the reputation of each program, their quality, as well as the costs and length of participation. Additionally, Student was provided information about the Ford Motor Company’s Automotive Student Service Educational Training (ASSET) Program, the enrolment requirement and its curriculum. 52. The assessments provided useful information regarding Student’s interests, needs, strengths and weaknesses. Based on the assessment information, Student’s expressed post-secondary school career interests were in the areas of auto mechanic and law enforcement. Student always enjoyed working on cars and fixing all kinds of things. His father testified that Student often fixes the equipment his father uses in his tree trimming business, and Student enjoys working on his truck and other cars. All witnesses established that Student is in fact interested in law enforcement, and has spent some time with the District’s vocational specialist exploring his career options in law enforcement. 53. Following her assessments of Student, Ms. Griggs produced written reports. Ms. Griggs’ first “Career and Vocational Development Report” was dated November 19, 2007. She produced additional reports dated September 18, 2008, November 23, 2009, and May 7, 2010. The reports, their findings and conclusions were presented by Ms. Griggs at various IEP team meetings. The reports were adopted and Parents consented to each of the IEP’s and ITP’s, and agreed to full implementation of each. 54. Further, the Diagnostic Center performed a vocational assessment of Student in October 2010. Father testified that he was satisfied with the Diagnostic Center and that he believed that the Diagnostic Center assessment was appropriate and addressed Student’s vocational and transition assessment needs. Student’s IEP team reviewed and discussed the results of all of the Diagnostic Center assessments, including those related to Student’s transition needs. When compared to Ms. Griggs’ transition assessments’ findings, conclusions or recommendations, there was no material difference in the Diagnostic Center’s vocational/transition assessment of Student, or their conclusion and recommendations. Both assessments identified auto mechanic and law enforcement as possible career paths for Student. 55. The results the Diagnostic Center transition assessment supported Ms. Griggs assessments’ results, and the ITP’s developed from Ms. Griggs assessments. Both the Diagnostic Center and Ms. Griggs assessments’ showed that Student is better suited for automobile mechanic due to his academic challenges and particularly his reading and writing issues. Student may need to “work his way up” to a law enforcement career, while he is already good in automobile mechanic. 56. Student’s ITP were prepared by Ms. Griggs and Ms. Quinn in collaboration. As early as the 2007-2008 SY, District began to offer Student programs, services and supports that would support his expressed interests, especially in the areas of automobile mechanic and law enforcement. Ms. Griggs and others implemented appropriately implemented Student’s operative ITP’s. For example, during the 2007-2008 SY (ninth grade), District/SEPLA ensured that Student’s took course in Auto 1, at which Student achieved “B” grade. During 2008-2009 SY, Student took Auto 2 ROP, and received a passing grade of “B.” During Student’s junior and senior years, he took Police Science 1 ROP and Police Science 2 ROP, respectively. He achieved a passing grade of “D” during the first two quarters of his junior year, and a “C-” grade in the last two quarters. In his senior year, he obtained a “C-” in Police Science 2 ROP. Student also participated in Student Patrol – the practical application of the Police Science 2 ROP course. Student received an “A” during the first two quarters of his senior year, and a “B-” during the last two quarters. Credits earned by Student in the Auto 2 ROP course, and the Police Science 1 ROP and Police Science 2 ROP credits are college transferable. 57. Ms. Quinn explained that each of Student’s ITP’s at issue is similar as Student’s post-secondary interest did not change. Student’s IEP team members discussed each of the ITP’s with the relevant IEP’s. The May 7, 2010 IEP/ITP, which was operative when Student began 12th grade, was fully consented to by Parents, who were assisted by Dr. Closson. The IEP notes, as well as testimonial evidence, established that all were engaged and able to meaningfully participate in the development of the ITP’s. All required persons, including the Vocational Specialist, participated in the IEP team meetings that developed Student’s ITP’s. Even though Ms. Griggs did not participate in the August 11, 2010 and the April 5, 2011 IEP team meetings, Ms. Quinn, Student’s case manager, attended and was able to assist in the development of the ITP. Parents, Student and Dr. Closson agreed to the IEP’s, and the included ITP’s. 59. Regarding Student’s independent living skills, Student did not establish that this was an area of concern for Student. Both Ms. Griggs and Ms. Quinn established that Student’s independent living skills are appropriate. Further, according to the Father, Student is dependable, respective, and responsible. He is well mannered. Even though Student’s is often forgetful, Student is able to follow through on most tasks if left with reminders, such as a list. Father often left Student alone to work at his tree trimming business and Student could be expected to attend to assigned tasks. He could also be left alone at home, although Father explained that Student has been asked not to use the stove while they are away due to his forgetfulness. 60. Despite what appears to be Student’s well developed independent living skills, Father explained that Student has issues with functional mathematic, and that he is unsure whether Student would be able to know whether he got the correct change if he made a purchase from twenty dollar. The evidence showed that District was aware of Student’s struggle with math and this need was addressed through Student’s IEP’s which provided opportunity for Student to participate in two math classes. Student IEP’s contained both math and consumer math to address his functional math skill deficits. Student presented no evidence to show that District’s intervention was inadequate, inappropriate, or that Student failed to receive meaningful educational benefits from District’s program. 61. Student ITP’s included appropriate and measurable post-secondary goals. The goals were outcome oriented as they supported Student’s interest in becoming an auto mechanic or law enforcement personnel. The goals also supported Student’s interests in college education and post-secondary school employment. The goals were supported by the assessment’s results. The goals were worked on while Student was at CHS, and Student took and passed relevant courses designed to enable his interest in auto mechanic, law enforcement, and proceed to college, if desired. His credits in the courses were college transferable, as District wanted to ensure that Student could benefit from continuum of coursework in the areas of Student’s expressed career interests. 62. He was supported in career exploration and in identifying job, career and other resources, including colleges. Student was offered a chance to participate in career explorations through District workability program. The workability program is designed to provide services to students in the area of work awareness by providing students with work experience and supporting job placements. Through the workability program, special needs students are matched with participating employers in a collaborative effort between special education staff, Parents and students. 63. Student’s operative IEPs included a workability goal drafted by Ms. Griggs, in consultation with District’s special education staff, Nicole Schupp, Student’s case manager during the 2009-2010 SY, Student and Parents. Ms. Schupp facilitated Student’s November 23, 2009 IEP team meeting, and attended the May 7, 2010 IEP team meeting, where Student’s ITP was discussed and adopted by all members of Student’s IEP team, including Parents and Dr. Closson. The workability goal targeted career exploration and the development of relevant specific employment behaviors in Student. Through the workability program, Student would be placed with various employers to develop affinity for a job, career or an employment interest. 25 Neither Student nor his parents testified regarding this issues. The testimonies of District’s witnesses established that Student resisted participation because he was working in his father’s tree-trimming business, and was making more money than he would have been able to make from participation in the workability program. 64. Unfortunately, despite District’s efforts to get Student involved and gain requisite work experience through the program, Student refused to participate. 25 The efforts began before Student turned 18, and continued thereafter through his graduation. Student failed to submit the workability program enrollment document, even after reminders and encouragement by District’s staff. Apparently, Student refused to participate because he was making more money working in his father’s business, and would have earned only minimum wage from his involvement in the workability program. The evidence failed to show that the services and support were either inadequate or inappropriate. 65. During his time at CHS, Student was provided information and encouraged to access career assistance from the local “Mother Lode Job Training and Placement – Job Connection” center. He was also offered Study Hall help -an after-school tutoring program where Student could obtain additional academic assistance especially in math and language arts. He participated in Resume Writing workshop, which was part of his English class during his senior year. Interviewing skills was taught through the workability program, but it is unclear whether Student availed himself of this opportunity as he refused to enroll in the workability program. 66. Further, Terri Tanner, the career center specialist at CHS often held career awareness days. Ms. Tanner would talk to students about various subjects, including college application process, deadlines and application for financial aids among others. Student was encouraged and reminded to make appointment with the Career Center in order to talk with Ms. Tanner about his career options. The evidence failed to establish that Student made an appointment. Ms. Quinn spoke with Student about Federal application for financial aids and offered to help Student complete the application during his senior year. 67. Therefore, based on the totality of the evidence, Student failed to prove that either District or SELPA failed to provide him appropriate ITP or adequate transition services, as discussed above. 1. Under Schaffer v. Weast (2005) 546 U.S. 49, 58 [126 S.Ct. 528, 163 L.Ed.2d 387], the party who filed the request for due process has the burden of persuasion at the due process hearing. In this case, Student filed for a due process hearing and therefore bears the burden of persuasion as to all issues. Are Student’s claims which allegedly occurred prior to June 14, 2010 barred by the two-year statute of limitations? 3. As set forth in Legal Conclusions 2, and under the preliminary procedural matters’ discussion above, the evidence established that, since at least November 23, 2009, Student and his Parents were aware of Student’s procedural rights and safeguards. The District or SELPA did not misrepresent any facts that prevented Parents from filing a due process complaint. At the hearing, Student advocate admitted that Student was unable to establish any exceptions to the statute of limitations. Thus, because Student failed to establish an exception to the statute of limitations, any claim outside the two-year period cannot be heard and decided at this due process hearing. Student filed his complaint on June 14, 2012, and therefore all of Student’s claims that occurred before June 14, 2010, are barred by the two-year statute of limitations and are dismissed. Issue 2a-During the 2009-2010 and 2010-2011 SYs, did District/SELPA deny Student a FAPE by failing to assess his learning disabilities despite his need for a full battery of special education tests and assessments? 9. Student contends that District and SELPA failed to adequately assess him because the assessment did not address his learning disabilities, especially his ADD. This contention was not substantiated at the hearing. 10. As set forth in Legal Conclusions 8, and Factual Findings 6 through17, the evidence established that, as of May 7, 2010, Parents, Student’s advocate, and all members of Student’s IEP team had agreed that the Diagnostic Center would be assessing Student, and thus evaluating all of Parents’ concerns regarding Student educational needs. District provided Parents with an assessment plan on May 11, 2010. District promptly made the referral and the assessment was completed to everyone’s satisfaction, including Parents, Dr. Closson and Student. Student did not raise any procedural or substantive issue regarding the inappropriateness of the Diagnostic Center assessment or the accuracy of its findings and recommendations. 11. Additionally, District/SELPA conducted a comprehensive psychoeducational assessment in 2010, which reached similar results as to Student’s learning disabilities. A review of both District/ SELPA 2010 psychoeducational assessment and the Diagnostic Center’s assessment reveals no significant difference in the tools utilized and their findings. The recommendations contained in both assessment reports were similar, and were implemented. 12. The evidence showed that District timely and appropriately assessed Student in all areas of known or suspected disability, including his ADD and learning disabilities. All parties agree that the Diagnostic Center assessment conducted pursuant to Student’s IEP teams’, including Parents and Student’s advocate, was appropriate. The assessment adequately assessed all areas of Parents’ and IEP team’s concerns. All parties agree that the assessment was both adequate and appropriate. Further, Student presented no evidence to show that District’s and SELPA’s psychoeducational assessment conducted between August and October 2010 was inadequate or inappropriate. Thus, Student failed to establish that District failed to adequately assess Student’s learning disabilities, including his ADD. Issue 2b -During the 2009-2010 and 2010-2011 SYs, did District/SELPA deny Student a FAPE by failing to offer him appropriate special education services to address his ADD? 15. Student contends that District failed to offer him appropriate special education services to address his ADD. However, the evidence supports a conclusion that District was aware of Student’s ADD diagnosis at all relevant times and Student’s resulting needs from the ADD were addressed through accommodations, modifications, services and supports. Student failed to establish that such accommodations, modifications, services or support were either inadequate or inappropriate, or that they failed to provide Student educational benefit. Issue 2c -During the 2009-2010 and 2010-2011 SYs, did District/SELPA deny Student a FAPE by failing to consider his diagnosis of ADD when developing his IEPs? 17. Student also contends that District failed to consider his diagnosis of ADD when District developed his IEP. As set forth in Legal Conclusions 13 and 14, and Factual Findings 18 through 27, Student failed to establish this contention as District thoroughly and appropriately considered Student’s ADD diagnosis. Additionally, Student did not demonstrate that the interventions District provided were not adequate or appropriate. The evidence established that District considered Student’s ADD through assessment and in its IEP offers. Thus, Student failed to establish that District failed to consider his diagnosis of ADD when developing his various IEP’s relevant in this matter. Issue 3a -Did District/SELPA deny Student a FAPE by failing to provide him with written information about his special education rights beyond the age 18? 19. Student contends that District denied him a FAPE because it failed to provide him with written information about his special education rights beyond the age 18. As set forth in Legal Conclusions 18 and Factual Findings 28through31, the evidence established that District provided Student and his Parents with written information about Student’s special education rights beyond the age 18. The rights were also explained to both Parents and Student. The District explained to Student that his educational rights would transfer to him at the age of majority at the November 23, 2009 IEP team meeting. In addition, a document titled “Education and the Age of majority” was provided to Parents at that IEP team meeting. This document informed Student that his special education rights transfers to him at the age of 18. Ms. McInturf explained Student’s special education rights to both Student and his Parents. Parents knew that Student’s educational rights would transfer to Student upon his 18th birthday, as of at least the date of the November 23, 2009 IEP meeting, when he was 17 years of age. Therefore, Student failed to establish that District/ SELPA denied him a FAPE because they failed to provide him with written information about his special education rights beyond the age 18. 20. A school district must provide written notice to the parents of a pupil whenever the district proposes to initiate or change, or refuses to initiate or change, the identification, evaluation, or educational placement of the pupil, or the provision of a FAPE to the pupil. (20 U.S.C. § 1415(b)(3); 34 C.F.R. § 300.503(a); Ed. Code, § 56500.4, subd. (a).) The notice must contain: 1) a description of the action refused by the agency; 2) an explanation for the refusal, along with a description of each evaluation procedure, assessment, record, or report the agency used as a basis for the refusal; 3) a statement that the parents of a disabled child are entitled to procedural safeguards, with the means by which the parents can obtain a copy of those procedural safeguards; 4) sources of assistance for parents to contact; 5) a description of other options that the IEP team considered, with the reasons those options were rejected; and 6) a description of the factors relevant to the agency’s refusal. (20 U.S.C. § 1415(c)(1); 34 C.F.R. § 300.503(b); Ed. Code, § 56500.4, subd. (b).) A district’s failure to provide adequate prior written notice is a procedural violation of the IDEA. This includes a student’s graduation with a regular diploma and exit from high school as the graduation constitutes a change in placement due to the termination of services upon graduation. (34 C.F.R. 300.102(a)(3)(iii).) It also includes a student exiting high school with a certificate of completion and continuing to receive special education services through the age of 22. Issue 3b -Did District/SELPA deny Student a FAPE by failing to provide prior written notice of their intent to graduate him prior to his completion of all credits necessary for graduation? 21. Student contends that District denied him a FAPE because it failed to provide him with prior written notice of their intent to graduate him prior to his completion of all credits necessary for graduation. As set forth in Legal Conclusions 20 and Factual Findings 32 through 40, Student failed to meet his burden in establishing that District or SELPA denied Student a FAPE by issuing him a high school diploma and exiting him from special education without proper prior written notice. Student passed all of his courses, and obtained the CAHSEE exemption, in accordance with state law and Parents/Student’s request. Student did not establish that the notice provided and included in the written IEP document of May 7, 2010 was either inadequate, or failed to meet the requirements of the law. Student received adequate notice, and involved in the decision to change his high goal from that of receiving a certificate of competition to a high school diploma. While the May 7, 2010 IEP team meeting is outside the two-year statute of limitations, evidence from this meeting is relevant to establish that the District complied with its legal requirement during the relevant time period at issue. Therefore, Student failed to establish that District failed to provide him with the required prior written notice about his graduation from high school and ending of his special education services. Issues 3c -Did District/SELPA deny Student a FAPE by graduating him prematurely? 22. As set forth in Legal Conclusions 13 and 14, and Factual Findings 1, 20 through21, 32through 40, and 41through 43, among others, the evidence failed to establish that Student was graduated prematurely. In fact, Student presented no evidence on this issue. Student presented no evidence to establish that he was not eligible to graduate in June 2011. To the contrary, the evidence showed that District properly graduated Student at the end of the 2010-2011 SY. The totality of the evidence established that Student met all graduation requirements as he completed the necessary credits. He did not need to pass the CAHSEE due to the exemption he was allowed to claim under state law. Thus Student failed to meet his burden. Issues 3d -Did District/SELPA deny Student a FAPE by failing to provide him special education services after he received a high school diploma? 25. Here, Student contends that District/SELPA denied him a FAPE because they failed to provide him special education services after he received a high school diploma. As set forth in Legal Conclusions 23 and 24, and Factual Findings 44 and 45, graduation ends the right to special education, and Student offered no authority in support of his contention that he is entitled to ongoing special education services after graduating from high school with a high school diploma. Therefore, Student failed to show that he was either legally or equitably entitled to special education services after the receipt of his high school diploma. 29. In an appropriate case, an LEA must, as a transition service, “facilitate the movement” of a disabled student to “integrated employment, including supported employment … .” (20 U.S.C. § 1401(34); Ed. Code, § 56345.1, subd. (a).) Neither statutes nor regulations specify how frequently during a student’s transition plan an LEA must discharge this duty, or how many employment opportunities it must encourage or attempt to make available, or what variety those opportunities must involve. Issue 4a -During the 2009-2010 and 2010-2011 SYs, did District/SELPA deny Student a FAPE by failing to offer him appropriate ITP’s? Issue 4b -During the 2009-2010 and 2010-2011 SYs, did District/SELPA deny Student a FAPE by failing to include appropriate measurable post-secondary school goals in his IEP’s/ITP’s? Issue 4c -During the 2009-2010 and 2010-2011 SYs, did District/SELPA deny Student a FAPE by failing to provide him with appropriate transition assessments relating to training, education, employment, and where appropriate, independent living skills? Issue 4e -During the 2009-2010 and 2010-2011 SYs, did District/SELPA deny Student a FAPE by failing to base his ITP on his individual needs taking into account his strengths, preferences and interest? Issue 4f -During the 2009-2010 and 2010-2011 SYs, did District/SELPA deny Student a FAPE by failing to plan for his post-secondary future? Issue 4g -During the 2009-2010 and 2010-2011 SYs, did District/SELPA deny Student a FAPE by failing to address all areas of his needs? 31. As set forth in Legal Conclusions 26 through30 and Factual Findings 46 through 67, the evidence failed to show that any of District’s operative IEP’s failed to offer Student a FAPE or that Student did not receive educational benefits from his ITP offers. 32. Student failed to establish that District failed to offer him appropriate ITP’s, or failed to include appropriate measurable post-secondary school goals. District conducted appropriate transition assessments and developed appropriate transition plans. The ITP’s appropriately identified transition services needed by Student to achieve his transition goals. Further, Student’s IEPs/ITP’s were based on his individual needs, expressed vocational desired and appropriately considered Student’s strengths and weaknesses. The goals included in the ITP’s were outcome-oriented, practical and achievable by Student given his interests, abilities and strengths. District appropriately planned for Student’s post-secondary school future. The IEP goals were appropriately implemented, serviced and supported and the ITP’s addressed all of Student’s areas of his needs. 33. Thus, the evidence failed to show that District denied Student a FAPE because his ITP’s and operative IEPs, from May 7, 2010 through April 5, 2011, were deficient. Therefore, Student failed to meet his burden on all issues relating the ITP’s as listed under Issue Number four, sub-issues (a) through (g). All of Student’s claims of relief are denied. Education Code section 56507, subdivision (d), requires that the hearing decision indicate the extent to which each party has prevailed on each issue heard and decided. Student prevailed on no Issue. District and SELPA prevailed as to all Issues.